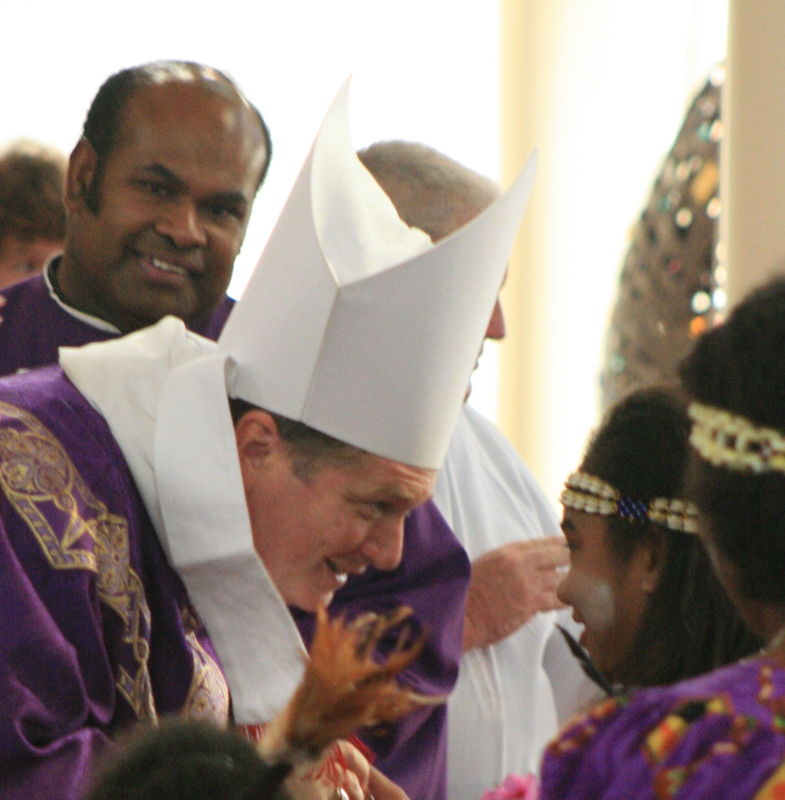 Last Sunday, our parish engaged in a wonderful celebration – the installation of Fr Paul as our parish priest. While this rite is usually celebrated shortly after the parish priest’s arrival in the parish, and assumes that the parish priest is not already known to the parish community, it still bears significance and importance. It serves as a sign of the bishop’s responsibility for the pastoral care of his people and parishes. The new parish priest makes a commitment to serve in this new role. The sacred sites of the church are entrusted to his care, and he is exhorted to work in collaboration with his brother priests and the lay people of the community. If you missed the Mass, there are still some booklets (with a commentary on the rites involved) can be downloaded here. To prepare such a celebration with all its requirements is a challenge which this parish handled commendably. Many people need to be acknowledged for their hard work. Firstly, I would like to thank the Assistant Diocesan Master of Ceremonies, Fr Andrew Bass, who worked with us on the preparations and assisted Bishop Anthony on the day. It was a pleasure to work both with him, and with John O’Loughlin, who prepared our altar servers and ensured the church was well prepared. John’s support was invaluable. Secondly, everyone present would agree that all our liturgical ministers carried out their duties wonderfully. Congratulations and thank you to our altar servers, our readers, and of course our Carmelite Friars who concelebrated with Bishop Anthony. Special mention must go to our magnificent choir and musicians, whose work was probably the best I’ve seen and heard in my years of music ministry here in Wentworthville. Thank you also to everyone who participated in this special occasion. You played an important part as well, for Christ is also made present through all of us gathered together in prayer. Finally, congratulations Fr Paul. May God bless you as you continue to lead our parish community.